The below article was taken from the Indiana Prairie Farmer on March 28, 2016. You can find the original link here. Many cattlemen dread buying bulls, according to Eldon Cole, livestock specialist with University of Missouri Extension. “When I speak to a group of cattlemen I often ask how many in the audience like to buy bulls. Invariably, only a few raise their hands,” Cole says. Cattlemen will give a range of reasons why they find the experience unpleasant: it is expensive, there is uncertainty about the bull itself, confusing numbers in catalogs, and the stress of a live auction. Cole says he understands the concerns, but there are some basic things that can be done to reduce the anxiety involved in bull shopping and buying. 1. Know your cows. Really look at what your cows need to complement their genetic strengths or weaknesses. “Do you have records that indicate you need more milk, more growth, more muscling, more marbling, more docility? Then look for a bull that can help those areas,” Cole says. NOT SO SCARY: Understanding the today’s terminology helps with buying bulls. However, a key piece of information is simply knowing the needs of your herd. 3. Evaluate the herd. Have you had your market representative, veterinarian or even an extension livestock specialist assist you in herd evaluation? “Be cautious as their thoughts may have some bias but it is always good to get others opinions,” Cole notes. Don’t forget the accuracy for the EPD’s. Young virgin bulls all have relatively low accuracies, mostly below .35. “Don’t worry about that because they’ll all be pretty much on the same playing field,” Cole says. Accuracies can be boosted — giving a young bull the edge over contemporaries — by genomic testing. “A test of their DNA increases accuracies as if the bull has produced 8 to 20 plus progeny. You can use the genomic data to enhance the EPDs. That combination is superior to either one alone,” Cole explains. 5. Understand breed percentile rank. Cole says to be sure and know the breed’s percentile rank table to tell where an animal ranks within the breed for various traits that you need to change in your herd. More and more sales include an animal’s percentile rank. For most traits, the low numbers indicate faster growth, more milk, easier calving, more carcass marbling, etc. A percentile rank higher than 50 means the animal is in the lower one-half of the breed for that trait. Admittedly, there are instances where a below average percent rank is acceptable. Once again, make sure your cow records support that move. 6. Know the indexes. Cole finds another trend in the numbers game is the move toward indexes. An index combines several EPD traits into one value usually reported in dollars and cents. 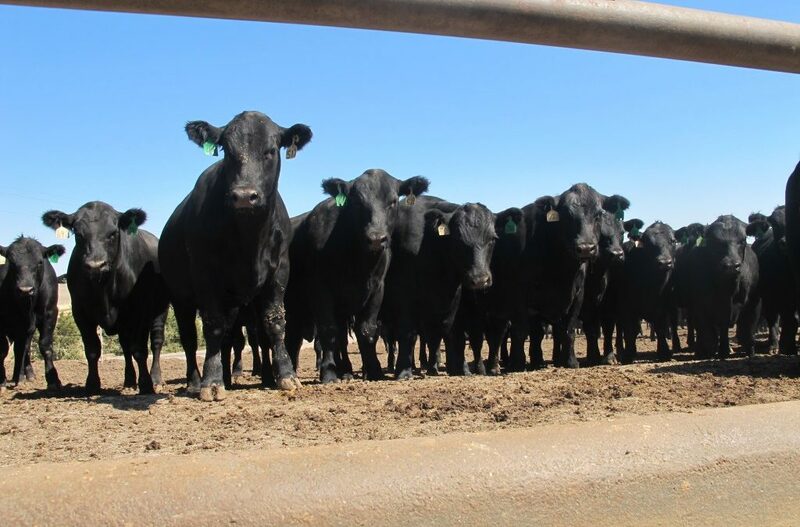 University of Missouri Extension Beef Genetics Specialist Jared Decker says cattle producers need to stop using informal selection criteria and independent culling levels. Instead, begin using economic selection indexes if you want to make more reliable and precise selection decisions.